« Slick Roads. End of Days. 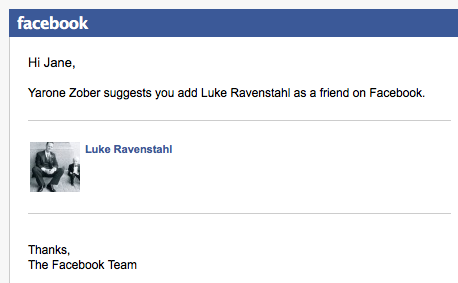 Luke Ravenstahl poked you. Poke back? Well, here’s an email that gave me pause. The Dread Lord Zober suggested I friend Luke Ravenstahl on Facebook. 1. Is this one of those “keep your enemies closer” things? 2. Is he suggesting it in a friendly way or in a Dread Lord “I will unhinge my jaw and swallow you whole if you don’t friend him” kind of way? 3. How ridiculously adorable is that profile picture? Gosh. 4. Do I friend him? 6. If he accepts and I write something bad about him, will he unfriend me? 7. If he accepts, will he “poke” me? 8. If he pokes me, do I poke him back? 9. That sounds dirty. I think I’ll not poke him back. You two could farmville together! Will he give you a thumbs up when you become a fan of Bill Peduto? Make Lukey play Cityville – see how much he can eff up a virtual city! If you friend him, do you also have to friend his 6 bodyguards? Love it! Just as long as he doesn’t upload pics of pigeons and tag you! I think you have to friend him, if for nothing but the blog possibilities. One more reason I don’t do Facebook. As ridiculously adorable as the current profile picture is, there’s an older one, with a littler Little Lukey of the two of the between the Lombardi and Lord Stanley that made me gush. Maybe you could friend him, but block some of your news feed items (i.e. posts about him!). B) He wants to post a juicy link that will infect your computer with a nasty virus that shuts down your blog, your twitter account and your life in general. That second one would take forethought and strategy, so I’m guessing it’s just Farmville. I can’t really see the profile pic but . . . does he have a MiniMe?!? WTF? @BeauJacques…that makes two of us. I really didn’t need another reason to ignore Facebook, but this gave me one anyway. *–The initial reports said the arson squad was looking into it. I used to be friends with Luke, but every time I complained about how my street still hadn’t been plowed, he’d click “Like”. This is like Joe Flacco suggesting you become FB friends with Ray Lewis. And then you end up murdered after The Super Bowl. If this, as you may think, is an “enemies closer” situation, then the only proper reply for you would be to say you will do it but “some day, and that day may never come, I will call upon you to do a service for me.” It is unfortunately way too soon to also say he can consider this friending of Lukey to be a gift on your daughter’s wedding day. @bucdaddy: my heart stopped when I heard the words “arson squad” on initial news reports of the fire. I’m hopeful that just standard operating procedure for any fire. Anybody shed any light on that? The place he was staying is back up for rent in Westwood so maybe he’s looking for a place to stay. Oh yes, definitely friend him. I think it could turn incredibly fun! And I haven’t heard the A-word since. Because the cover-up has kicked in, no doubt. Well … even Lukey would probably be smart enough to keep his hands clean by hiring somebody for the job. With public money, no doubt. 1) Friend him . . .you can NEVER have too many friends! 2) Especially on moving day, lol. I really meant the first advise the second was my attempt at humor . . . humor ain’t an easy thing for us accountant types. Does this mean that you are already friends with the Dread Lord??? so where was luckey luke during light up night, when pgh”s finiest was policing the streets after two shootings. answer the sharp edge on penn ave. with i”m sure his 200,000 body guards ans some hot blond, whom i’m sure will cost him more than out new tunnel to the north side. just to let ya know. Can I get a witness, spoon? The only thing that entered my mind is the word (is it a word?)…. eww.